Altadis USA, parent company of historic brands such as Romeo y Julieta, H. Upmann, Henry Clay, and Montecristo, began rethinking these brands in 2012, introducing the award-winning ROMEO by Romeo y Julieta. 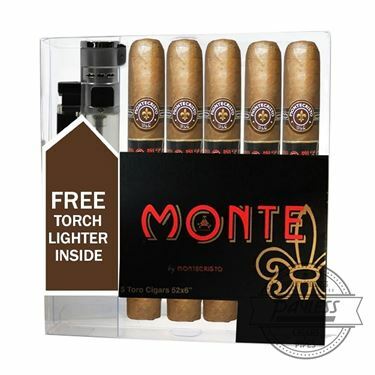 And only one year later, the company continued in this mindset with MONTE by Montecristo. MONTE by Montecristo not only features a modernized look and feel, including a bold new sub-band for easy identification, but an entirely new blend recipe as well. 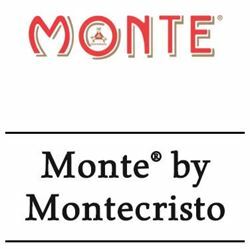 Where the original Montecristo cigar caters towards a refined palate and mild nuances, MONTE by Montecristo amps the experience up a few notches! To accomplish this, Montecristo utilizes an Ecuadorian Habano wrapper over aged Dominican fillers and a special double binder of Dominican olor and Nicaraguan Corojo.